Get ready to watch the most badass thing you’ve seen today. This guy doesn’t buy his coconut water for £2.50 from Asda, he picks it off a tree and husks it himself – casually, and with his teeth. 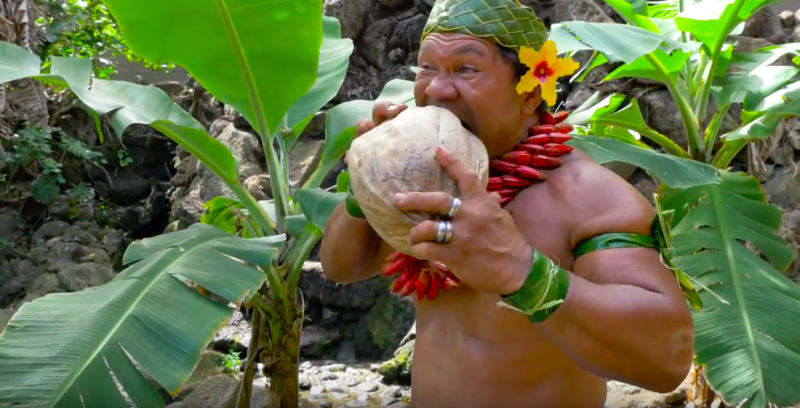 Chief Kap Te’o-Tafiti from the Polynesian Cultural Centre in Hawaii can husk a coconut with whatever’s lying around – a stick, rock, machete, his mouth. And he’s here to show you how. First, take the coconut, and husk it with your teeth (simple enough). Then, if you happen to have a machete lying around, use the blunt end to hit the coconut with. If you don’t have a machete, a knife will do. And if you do it right, you should end up with a perfectly husked, perfectly cut coconut. Seems simple enough, right? So next time you’re picking up your weekly shop, grab a full coconut instead of a carton, channel your inner Samoan chief and get husking. Just make sure you have strong teeth first.